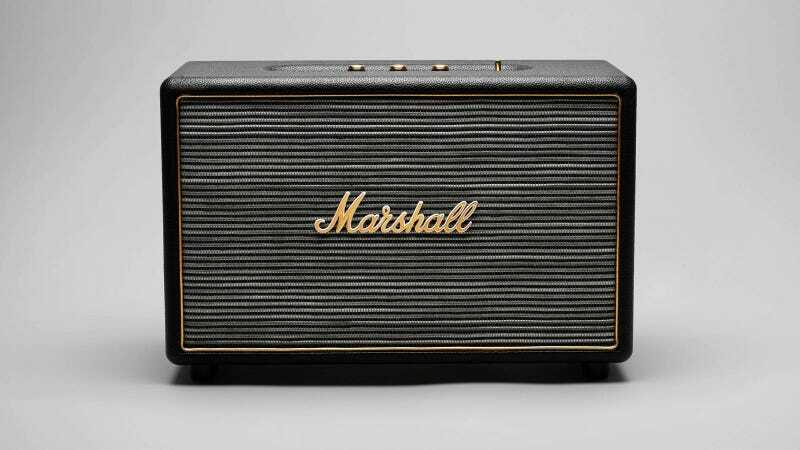 Marshall branding makes anything look instantly cool: from fridges to headphones. Now you can add home audio to that list. Weirdly, in its 50-year history the English amp manufacturer has never made a home audio device—save for a licensed UK-only digital radio—instead sticking to guitar amplification. Now it's launching the Hanwell, an active loudspeaker designed to spit out rock music from whatever audio device you choose to feed it. If you're wondering, the name comes from Jim Marshall's first ever shop. It certainly looks the part, with its analog power switch, classic volume and tone knobs, curled cord and classic vintage-amp vinyl covering. It remains to be seen how good it sounds, of course, but let's be honest: you'll be buying this as much for the look as the performance. Currently there are no details on price—but it should be available soon.